View Poll Results: Laces, no! Guapo, si! This outfit arguably complies... the boat shoes have laces but they are decorative/non-functional, these are actually slip-ons with elastic around the tongue. Something I didn't realize when I bought them, but whatever. 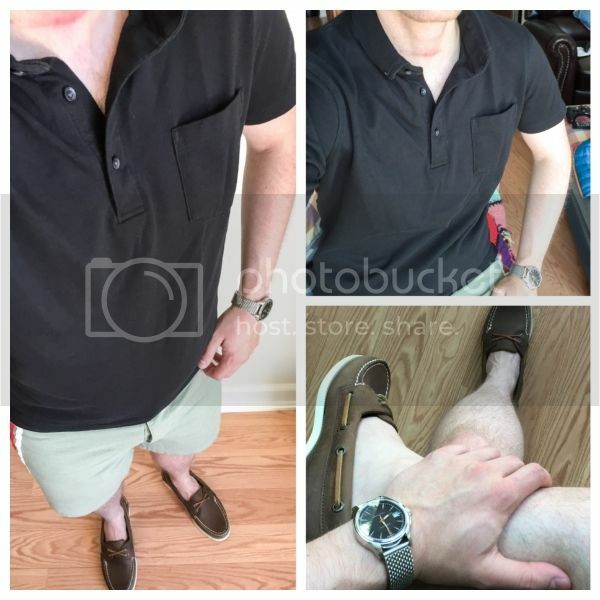 Uniqlo polo, M. Nii shorts, Hamilton watch on Staib mesh bracelet, Sperry for J.Crew boat shoes. Last edited by LesserBlackDog; May 31st, 2015 at 05:13 PM. The poll is alive and ready for your votes, people! I'm calling this one and shutting it down a little bit earlier than usual. Congrats to @JDI! Well done and please post a new challenge theme ASAP.